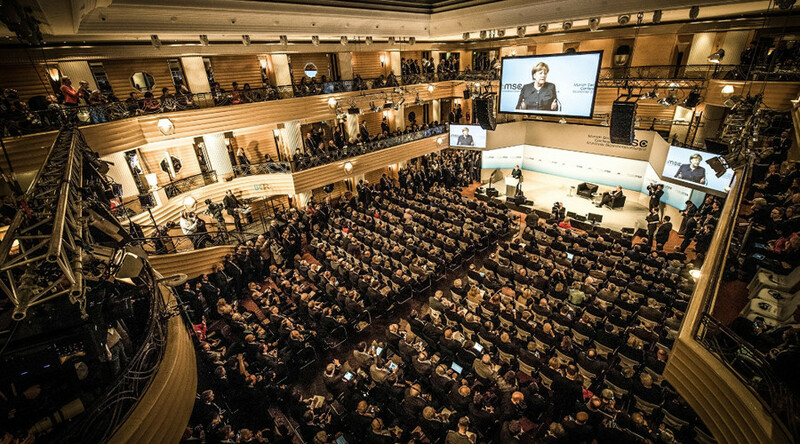 The future of NATO and its relations with Russia amid turbulent US foreign policy, as well as the Syrian and Ukrainian conflicts in an era of Cold War style media hysteria have dominated the three-day Munich Security Conference. 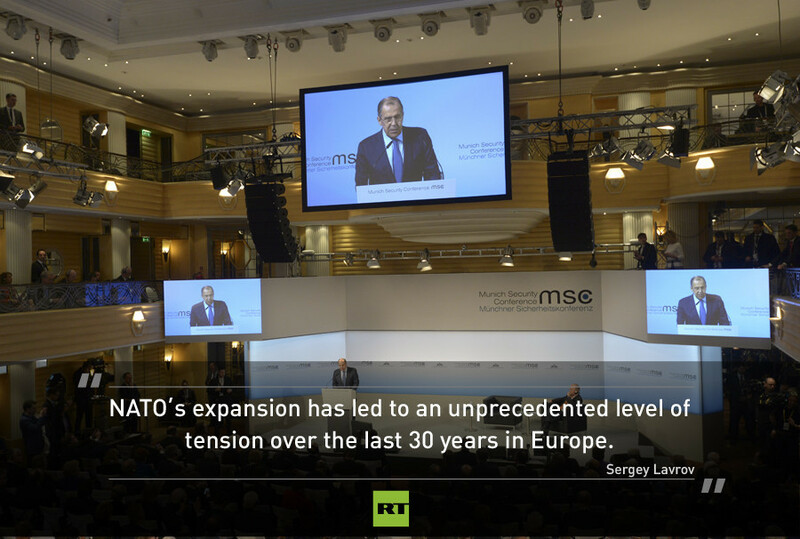 Russia is ready to work together with NATO, but its expansion has led to an “unprecedented level of tension” in Europe, the Russian FM Sergey Lavrov told the conference. Moscow is open for political dialogue and diplomacy but believes it does not make any sense without military cooperation. 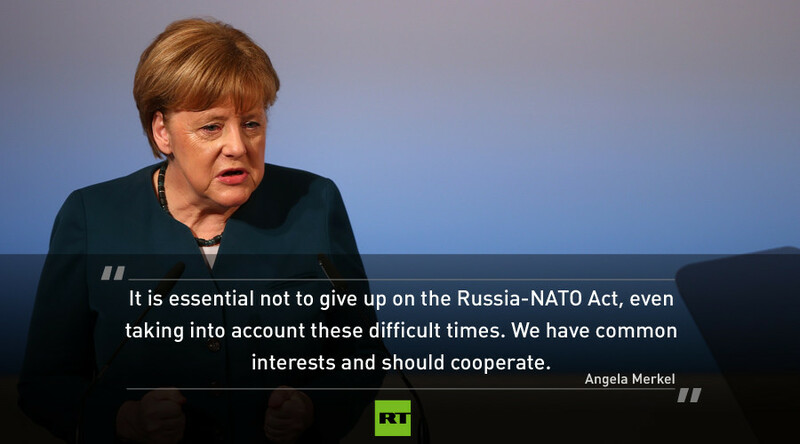 NATO, however, has not shown a readiness for such cooperation. 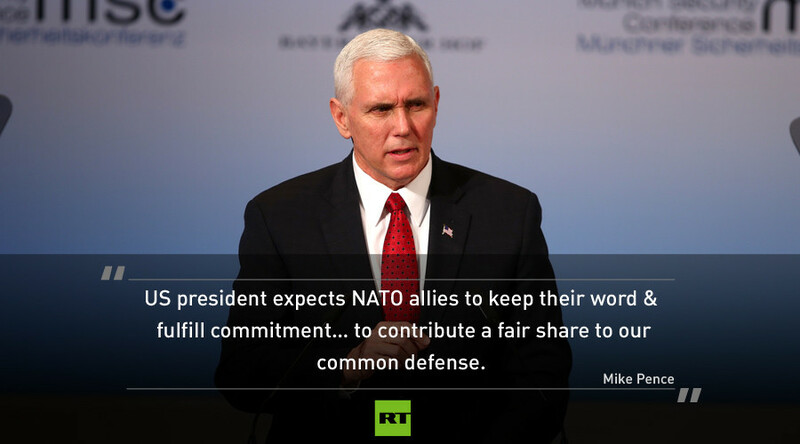 The US seemingly tried to reassure its allies, alarmed by Donald Trump’s campaign statements on the alliance being “obsolete.” America “strongly supports NATO” and is fully committed to this transatlantic alliance, the US Vice President Pence said at the conference. “As you keep faith with us, under President Trump we will always keep faith with you,” he added, reiterating, the demand, however, that allies to pay their “fair share” of 2 percent of GDP to maintain NATO. “When even one ally fails to do their part, it undermines all of our ability to come to each other’s aid,” Pence stated, clearly implying that failure to increase spending was not an option for NATO nations. 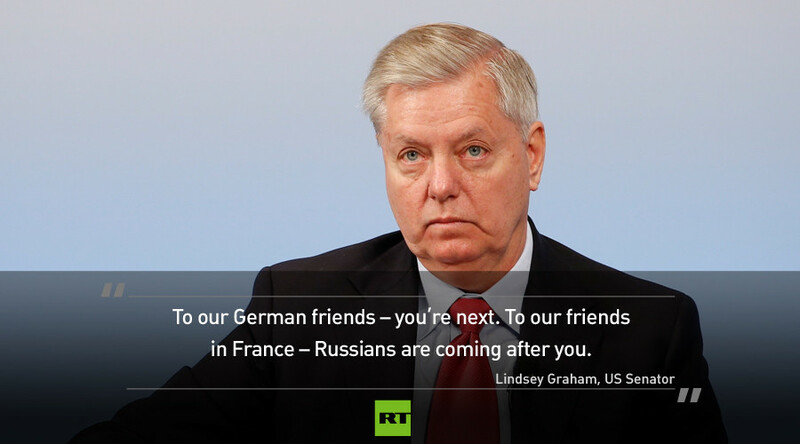 High-ranking diplomats involved in efforts to end the Syrian conflict have acknowledged the crucial role of Russia. The Astana talks is an important milestone in the reconciliation process, as the Syrian government and rebels met for the very first time at a negotiating table instead of the battlefield. 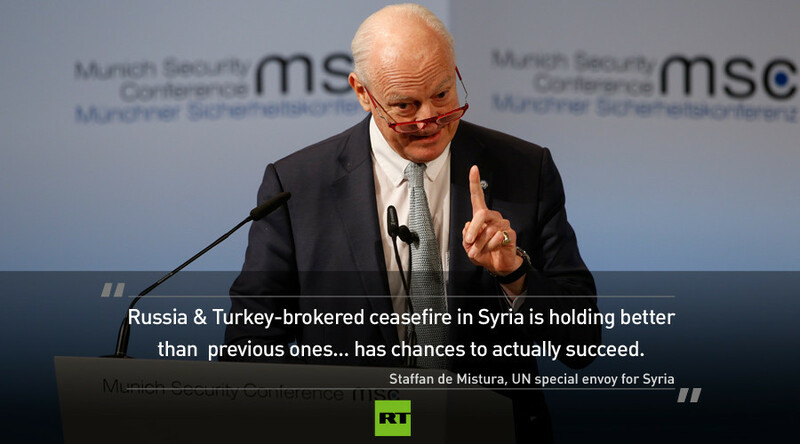 And while not being an alternative to the upcoming Geneva negotiations, it should be viewed as a valuable supplement, the UN special envoy for Syria Staffan de Mistura believes. 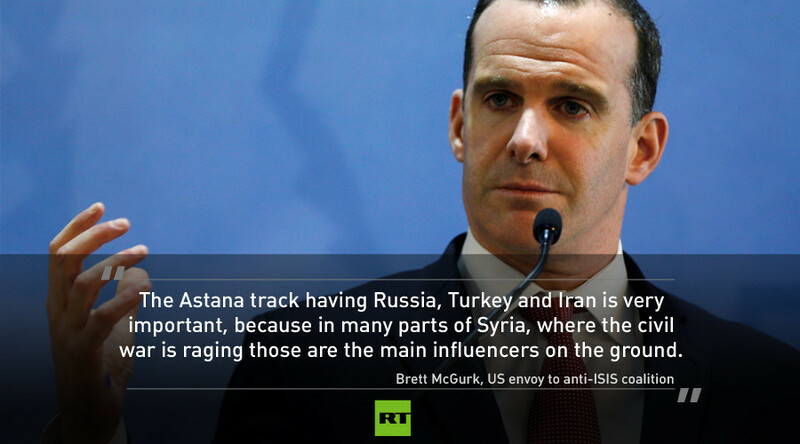 The UN representative also said the “not-so-secret” Russian-Turkish meetings helped avert the worst case scenario in the battle of Aleppo and saved tens of thousands of civilian lives. The new ceasefire, brokered by Russia, Iran, and Turkey is “holding better” than the previous one since these countries have actual influence on the ground in Syria. 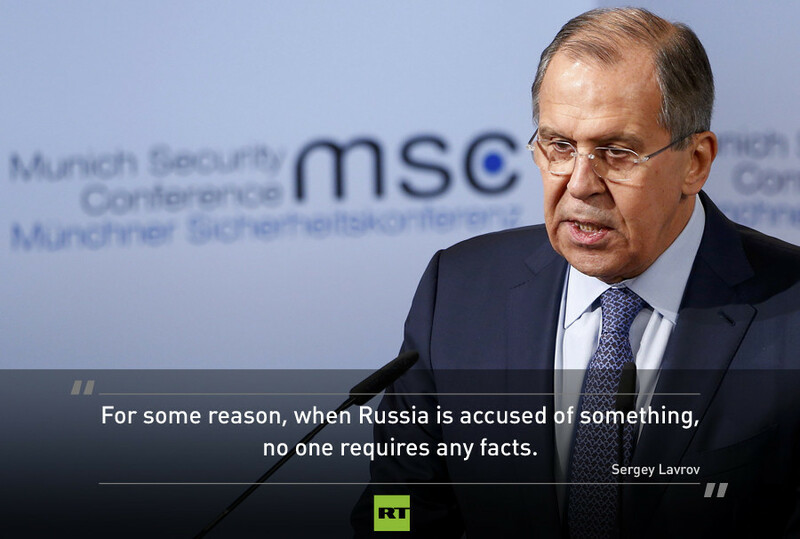 The modern world lives in a “post-truth period” which can only be overcome through an old-school “justice and modesty” approach, Russia’s FM Sergey Lavrov believes. Only “honest work without lies and fake news” is the way to “resist hysterical information wars imposed on the international community." Russian, French, Ukrainian and German diplomats have reached a new agreement on a ceasefire in Ukraine starting February 20. 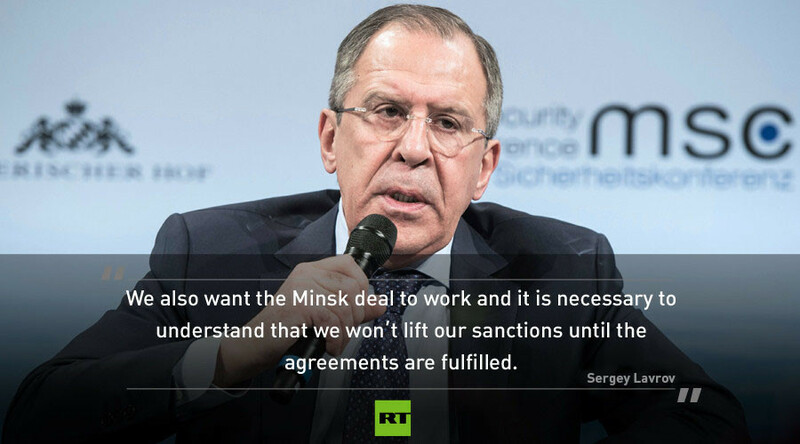 “We have actively supported this decision and obviously expressed a conviction that this time, failure should not be allowed,” the Russian FM Sergey Lavrov said afterward. 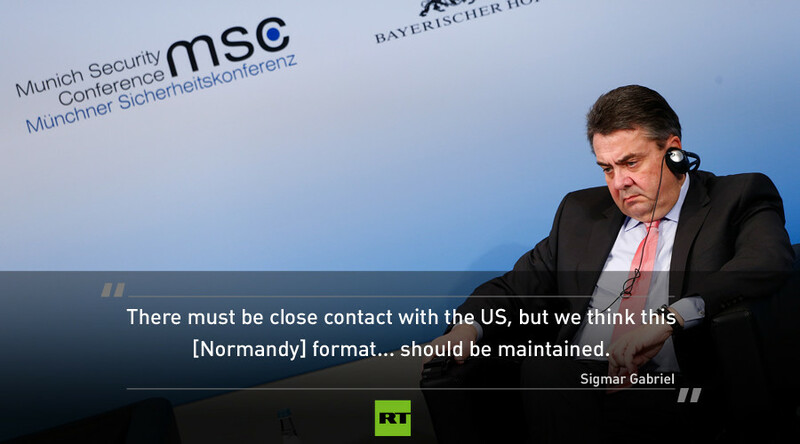 The diplomats reiterated the importance of the Normandy format and said there was no need to include new parties, referring to the US. The Minsk deal is perceived to be the only way to untangle the conflict, and “Russians and Ukrainians” have “no other option but to respect” it, the French FM Jean-Marc Ayrault said. Lavrov noted that the lack of progress in the reconciliation process should not be blamed solely on Russia, as the other parties are equally responsible too. President Vladimir Putin's decree acknowledging passports and other documents of the self-proclaimed Donetsk and Lugansk Republics was announced during the conference “out of humanitarian concerns,” leading to a hysterical reaction from Ukrainian officials.